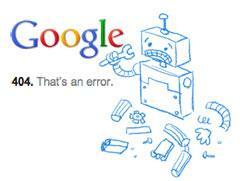 Over the weekend I spotted dozens of reports from Google searchers that the search results are not working on Google. The main thread on this issue is at a Google Web Search Help thread. But here are many other threads with complaints. Kelly from Google asked searchers to tell her "which browser you're all using." The issue is, it is happening on all browsers. From Internet Explorer, to Safari, to Firefox and even Google's Chrome browser. Personally, I was not able to replicate the issue - so maybe it is now fixed or maybe it is only effecting a very limited audience?